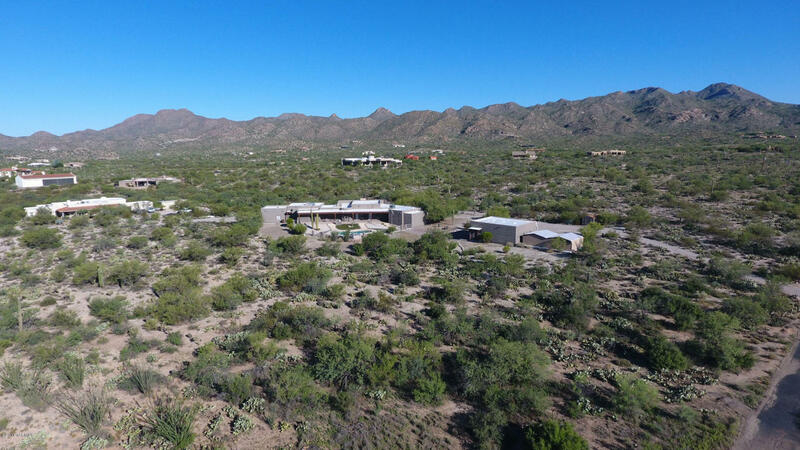 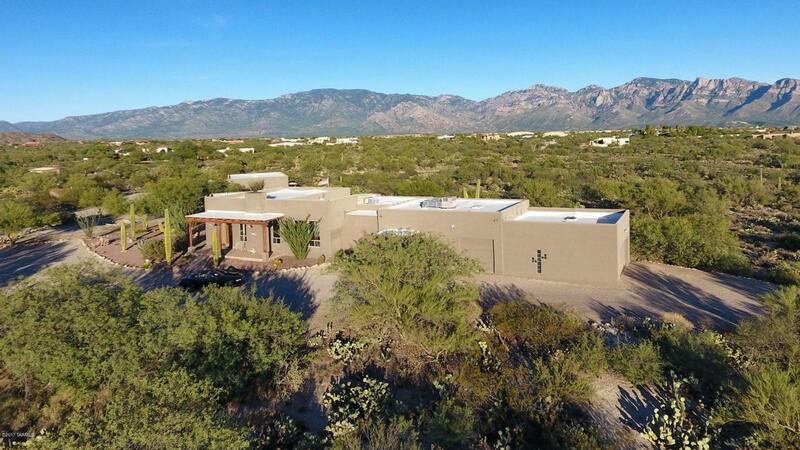 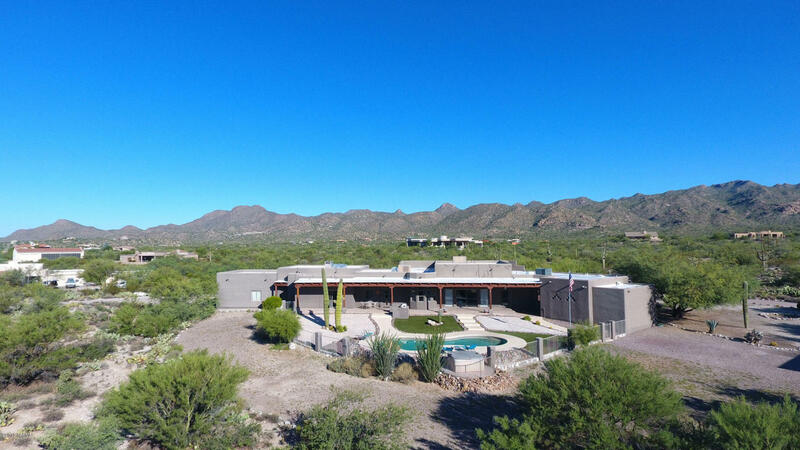 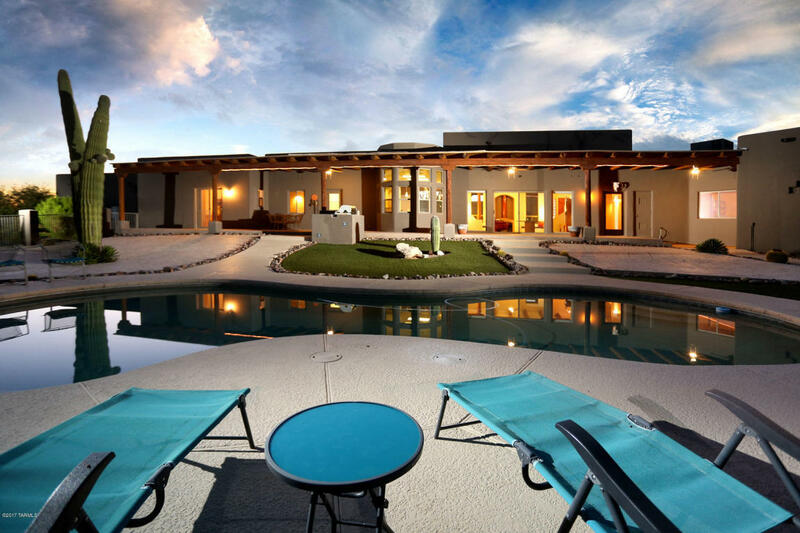 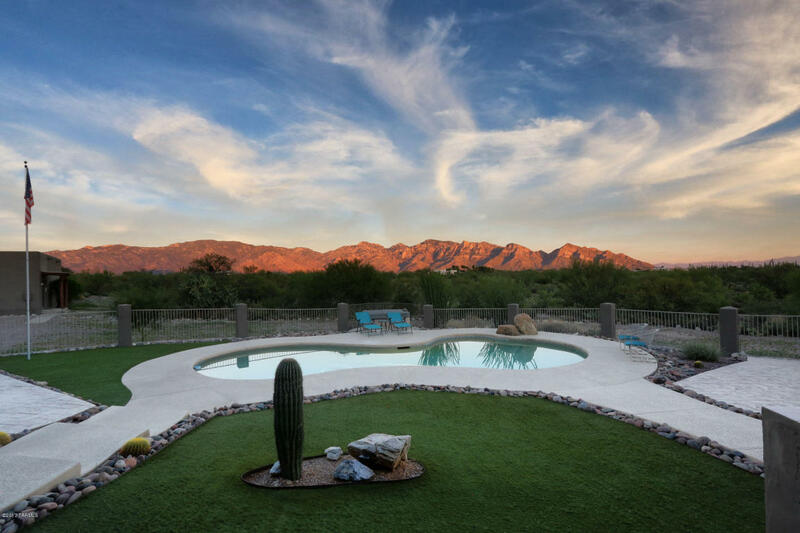 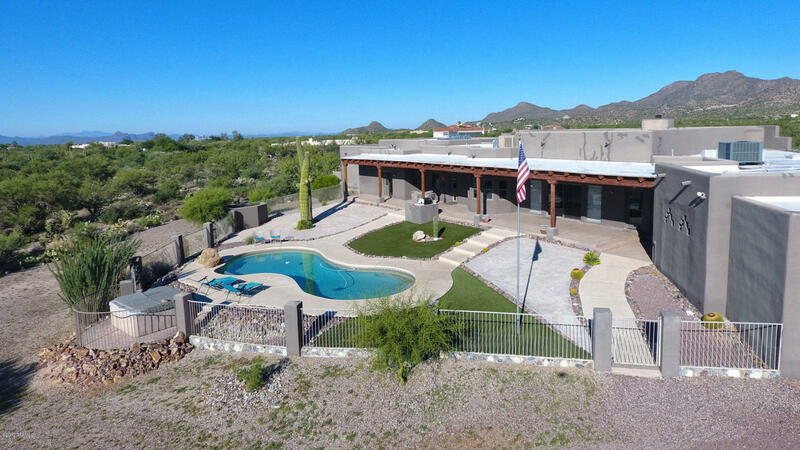 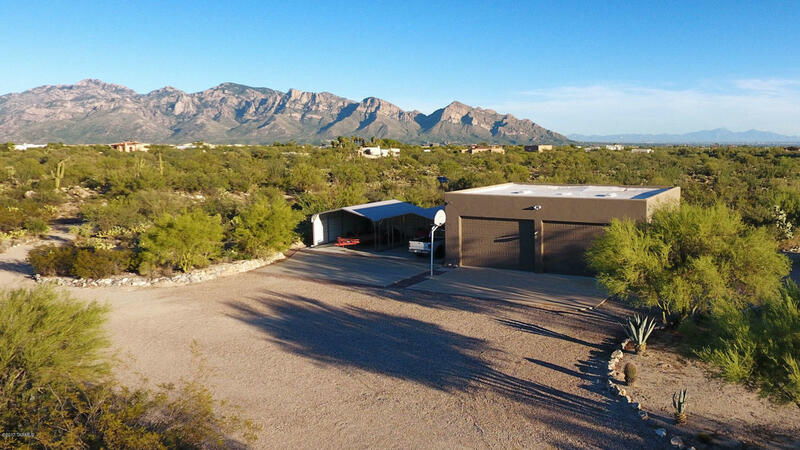 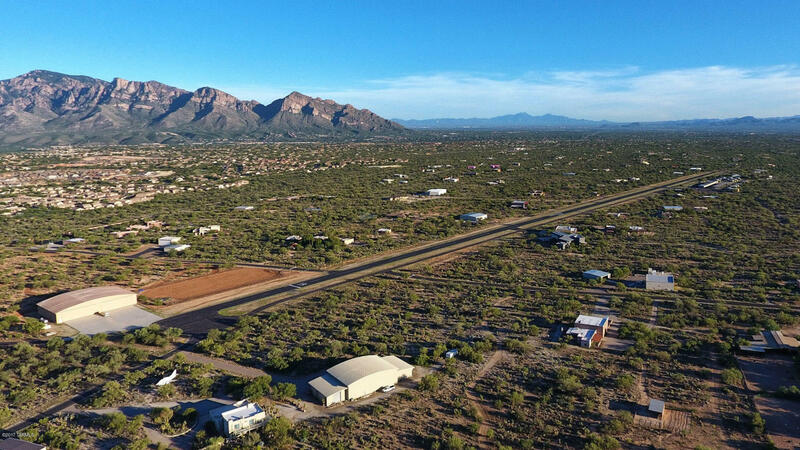 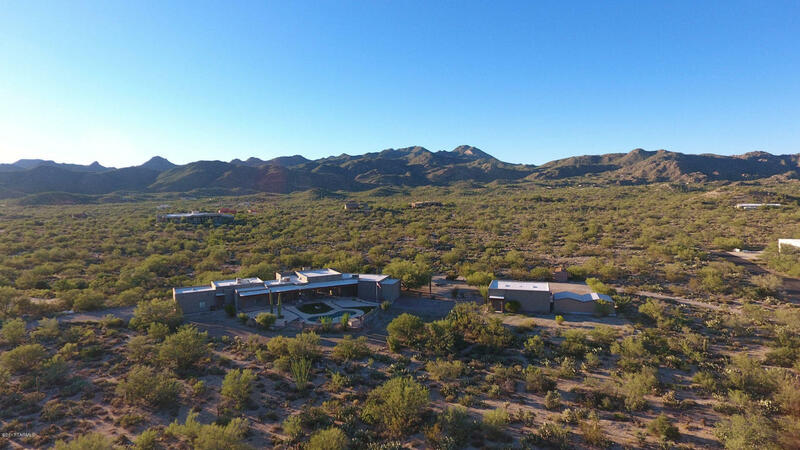 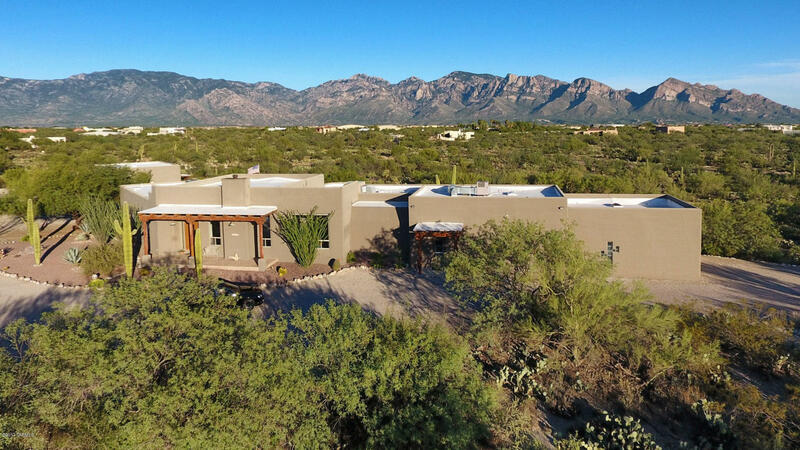 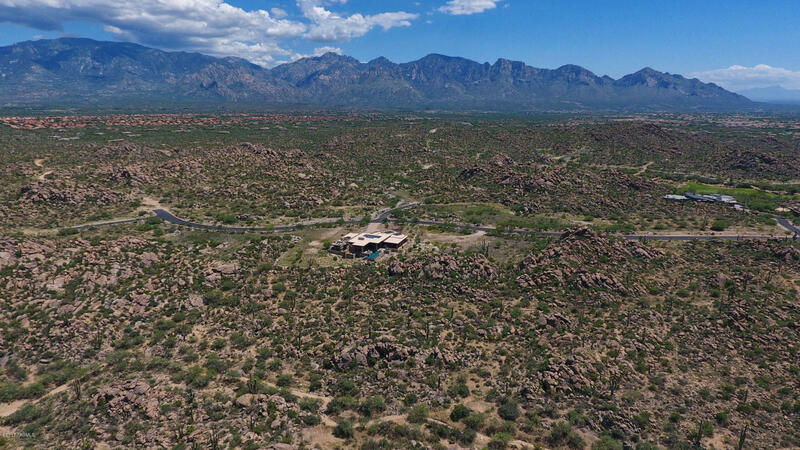 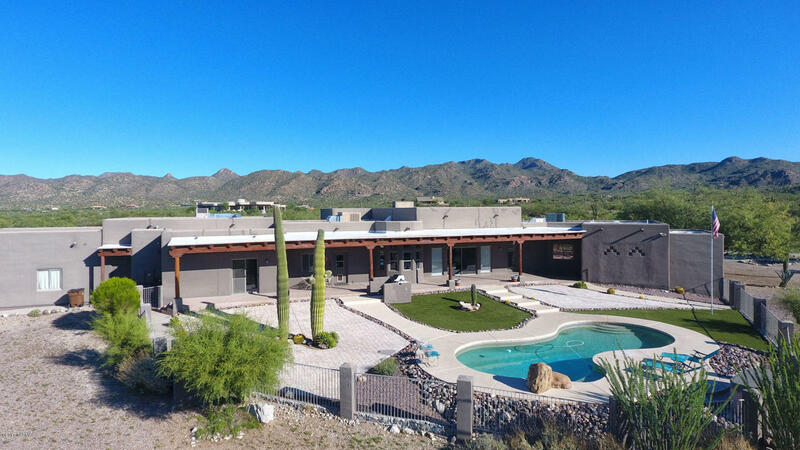 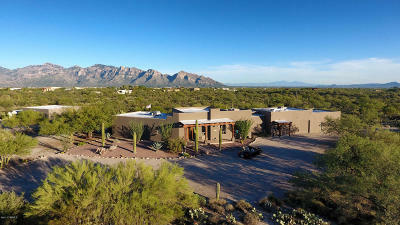 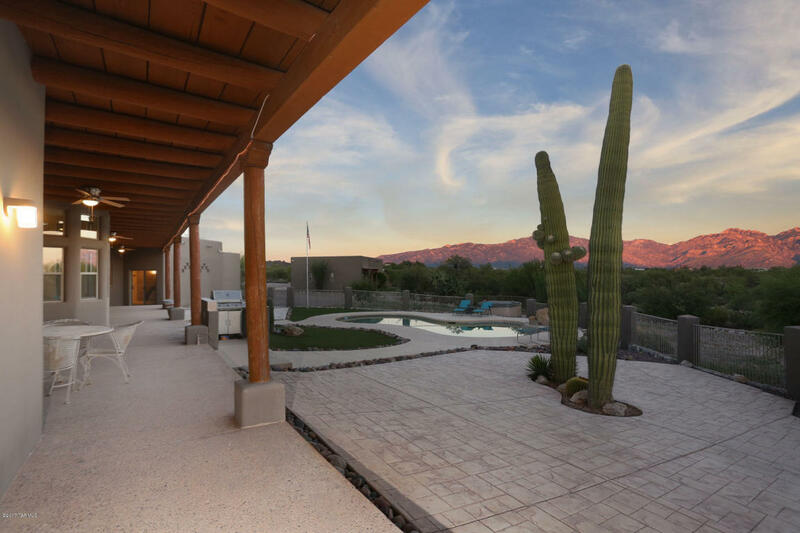 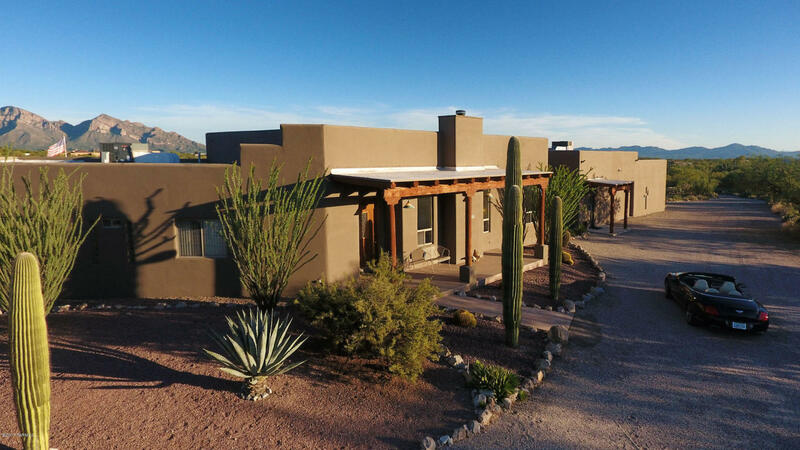 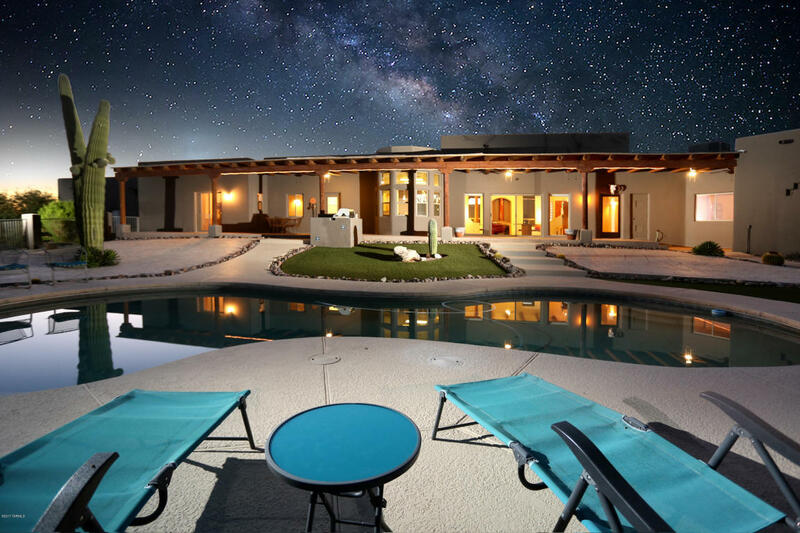 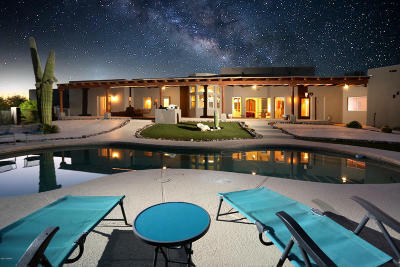 Picture this: Your own graciously sprawling and totally private hacienda on 8 lushly vegetated acres with magnificent stunning vistas in every direction, room for six vehicles, an RV or possibly a 30 X 40 hangar for your private plane. 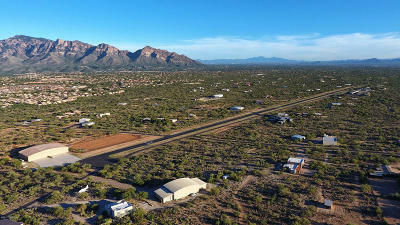 Oh yes, there's a private runway in the neighborhood. 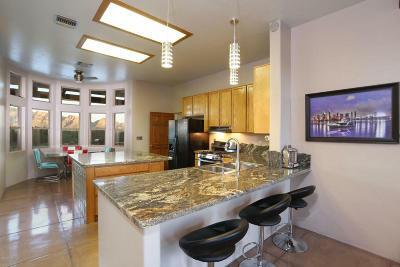 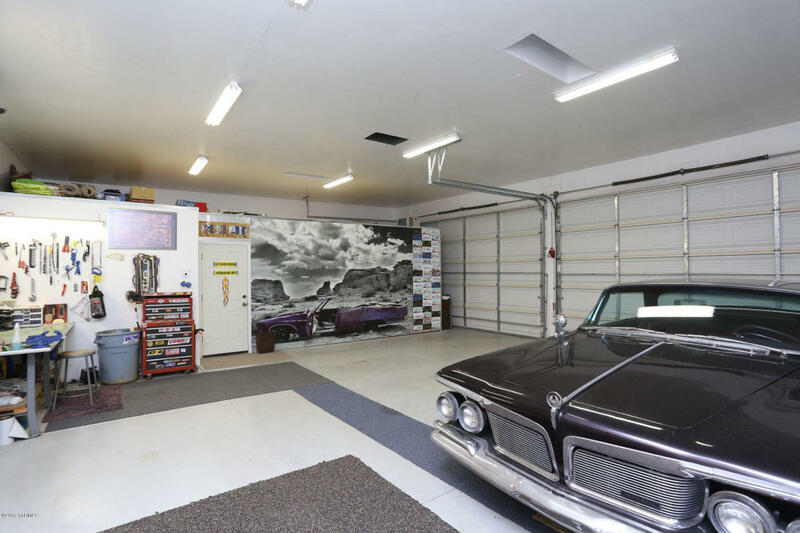 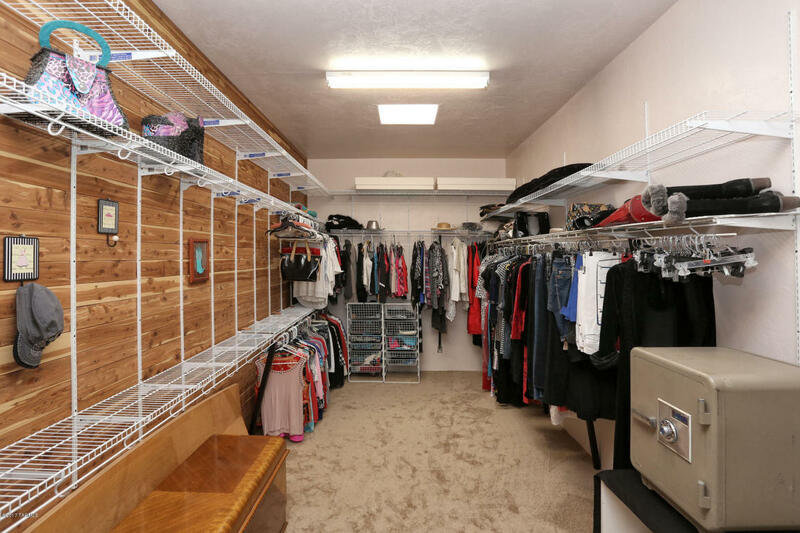 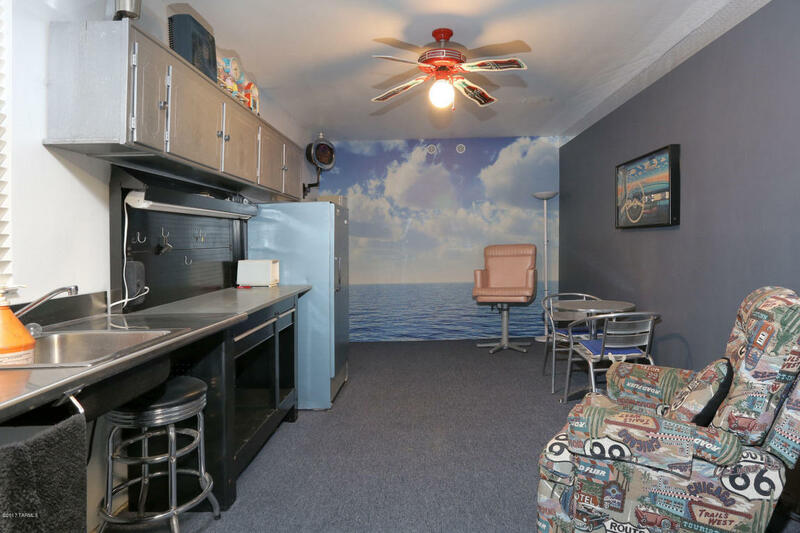 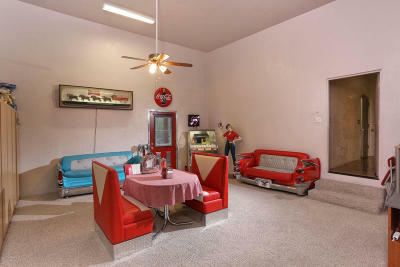 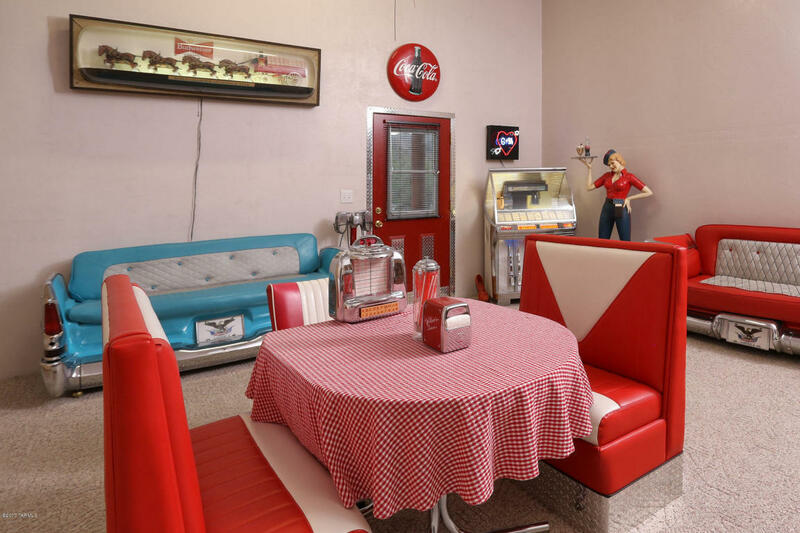 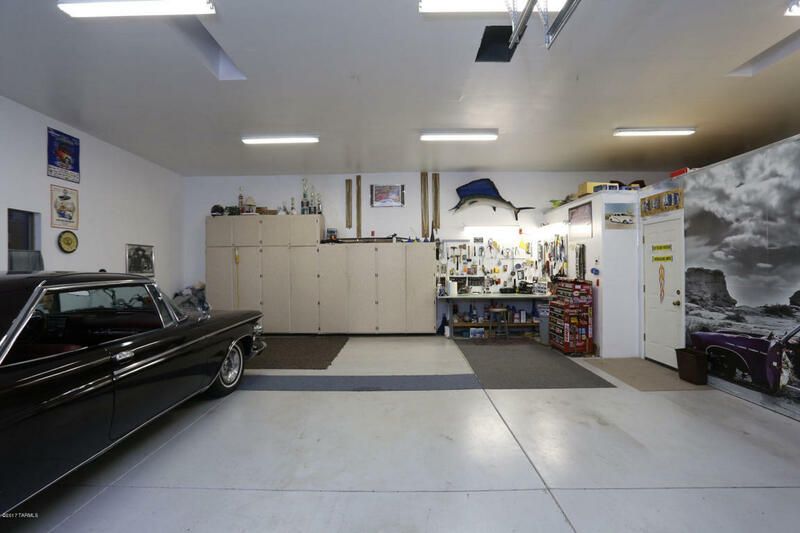 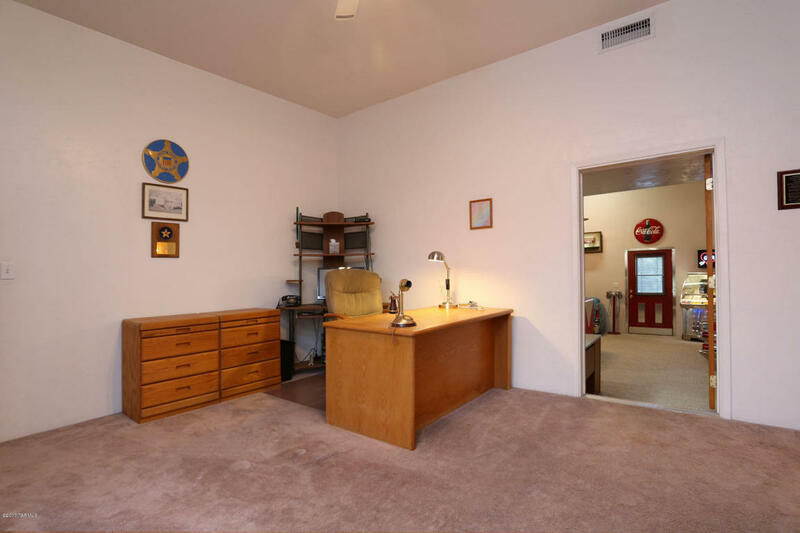 Room for planes, trains, car collections, horses and corrals and an arena, hot rods and families. 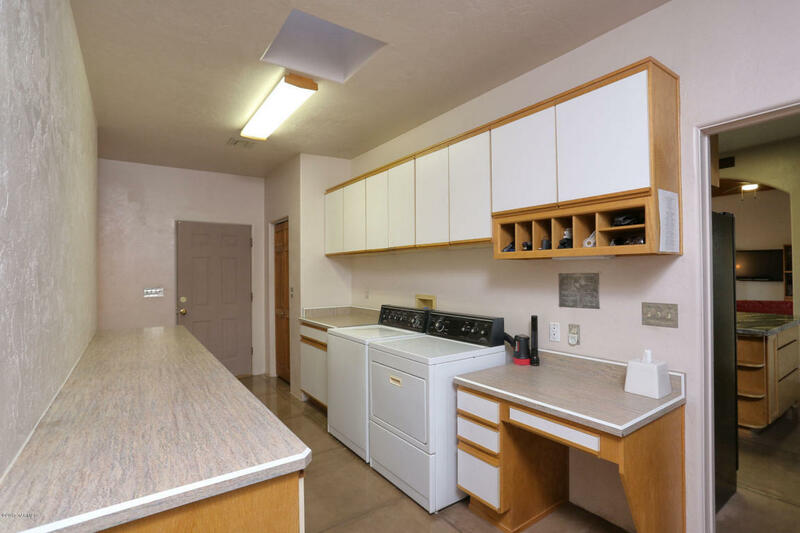 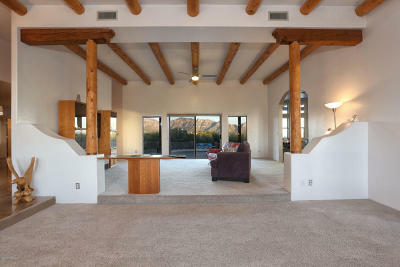 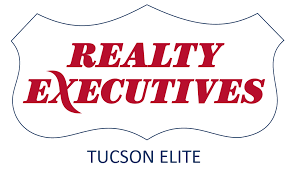 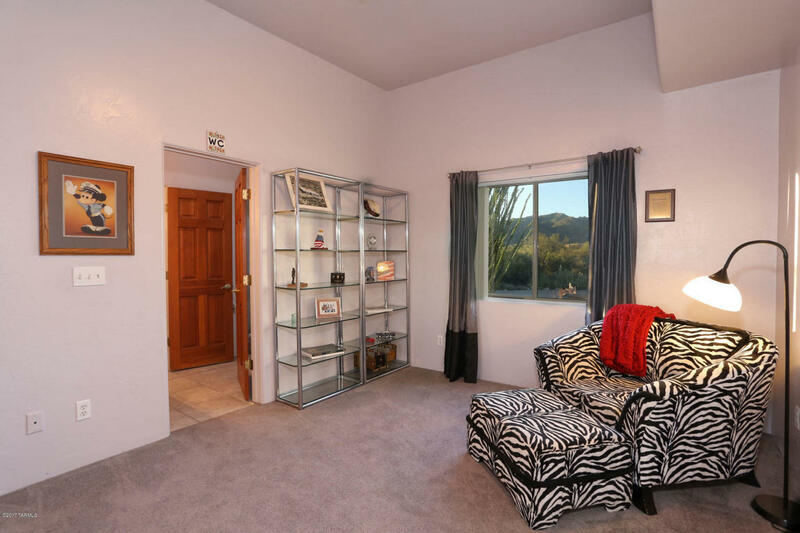 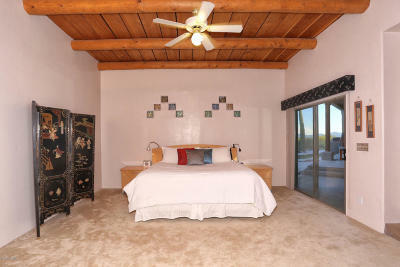 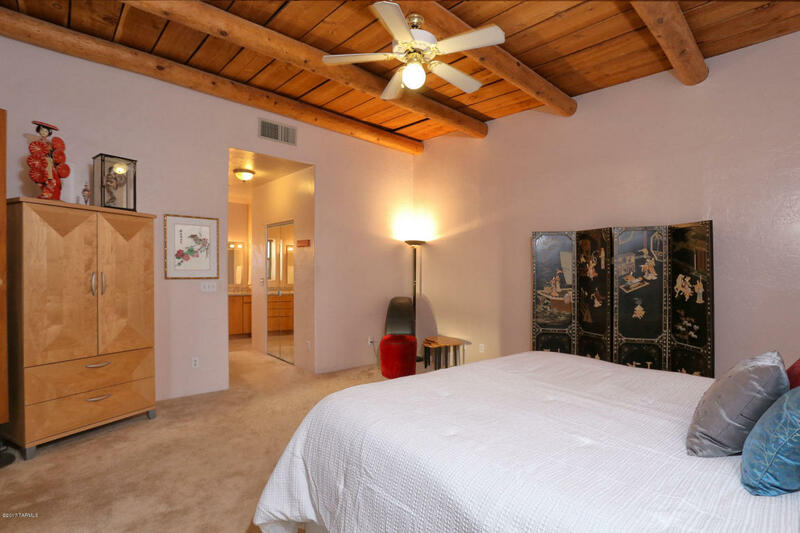 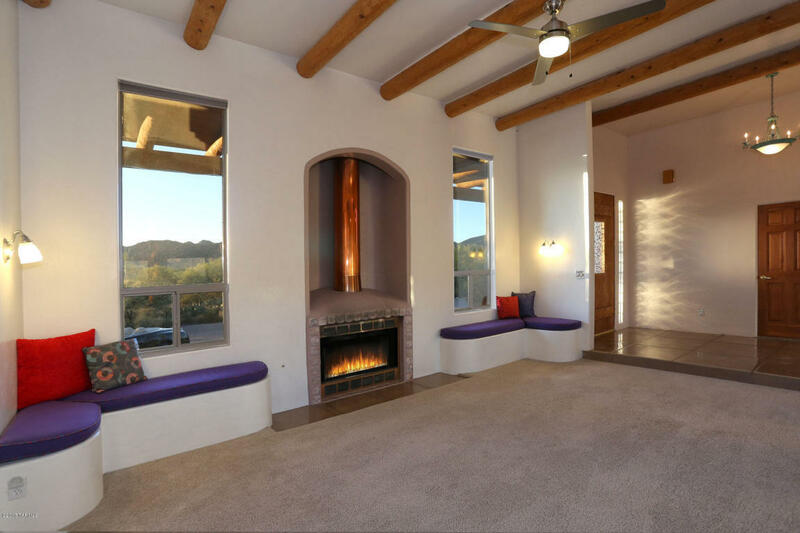 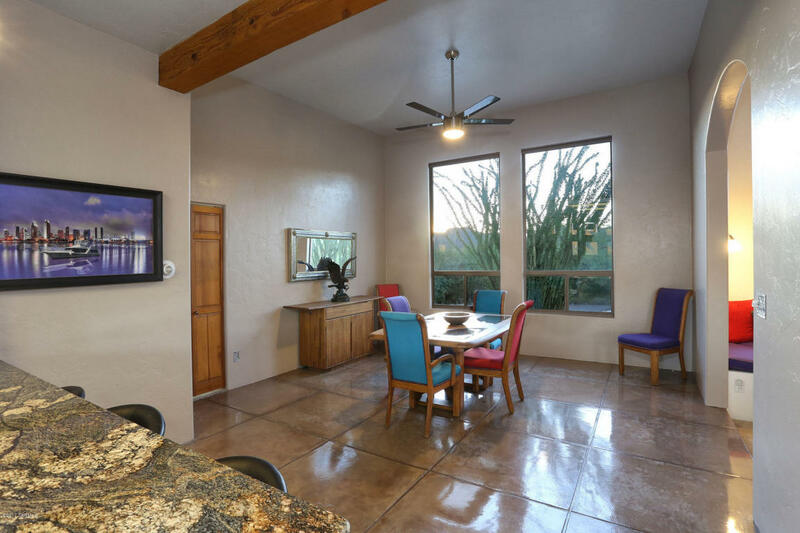 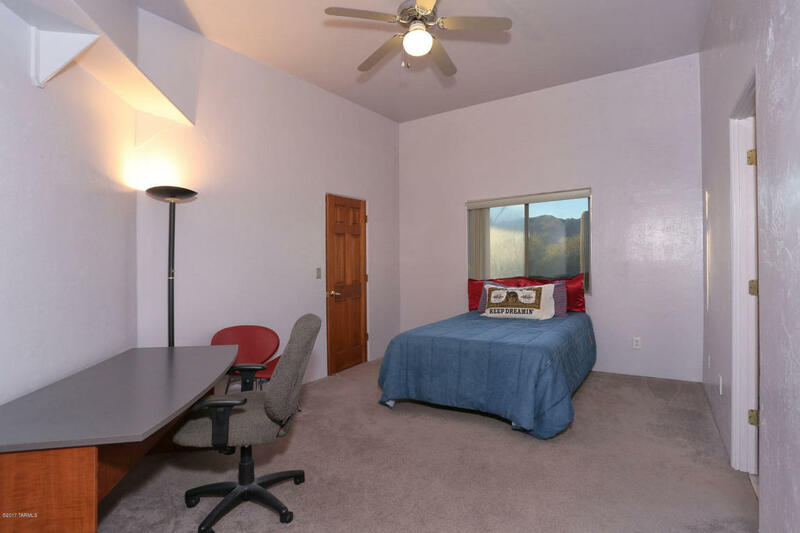 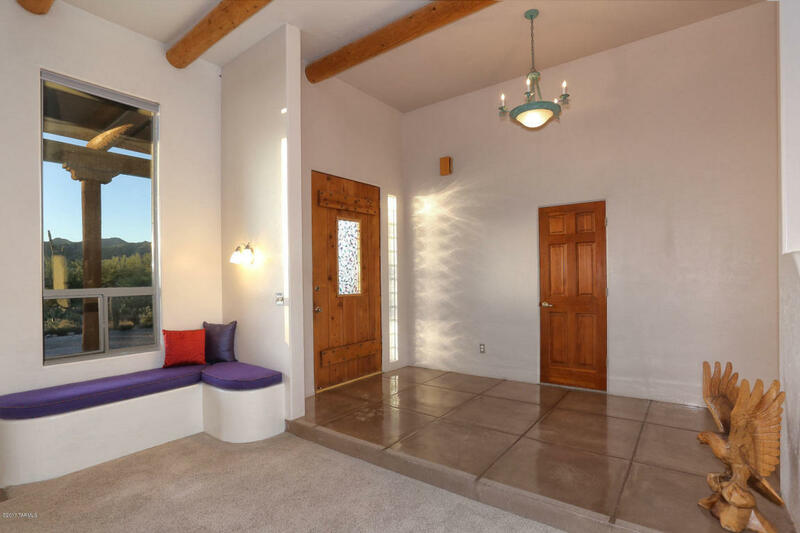 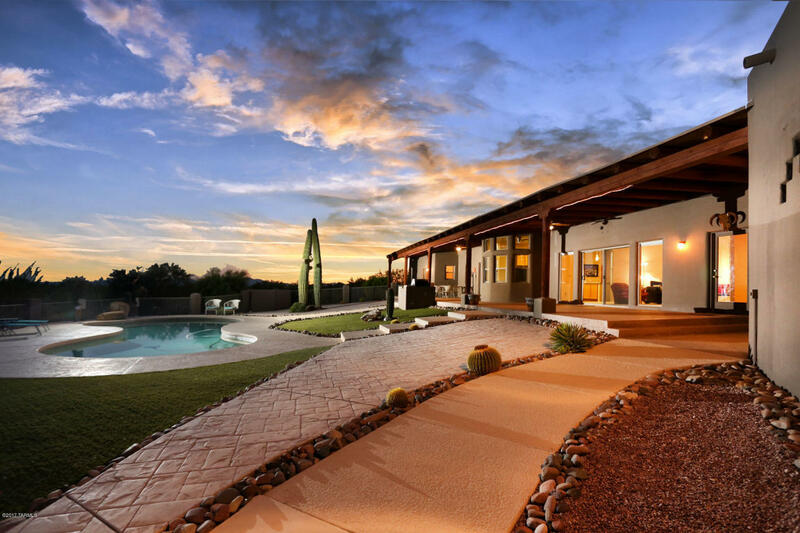 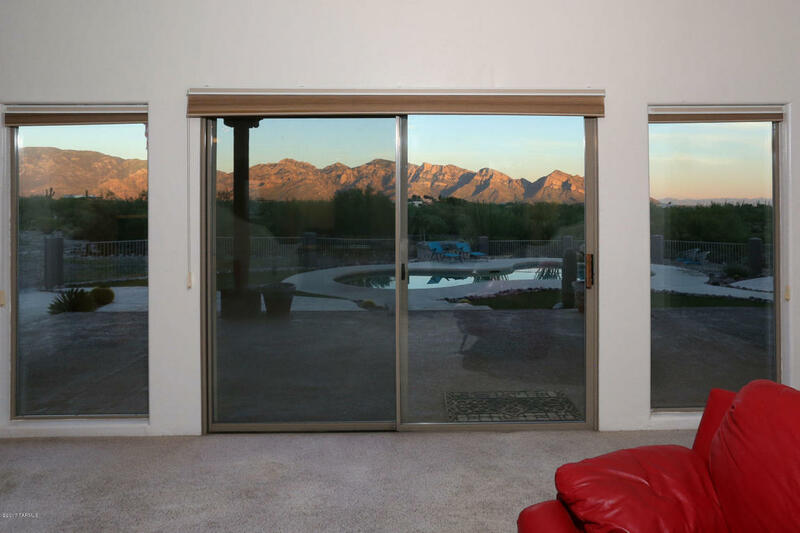 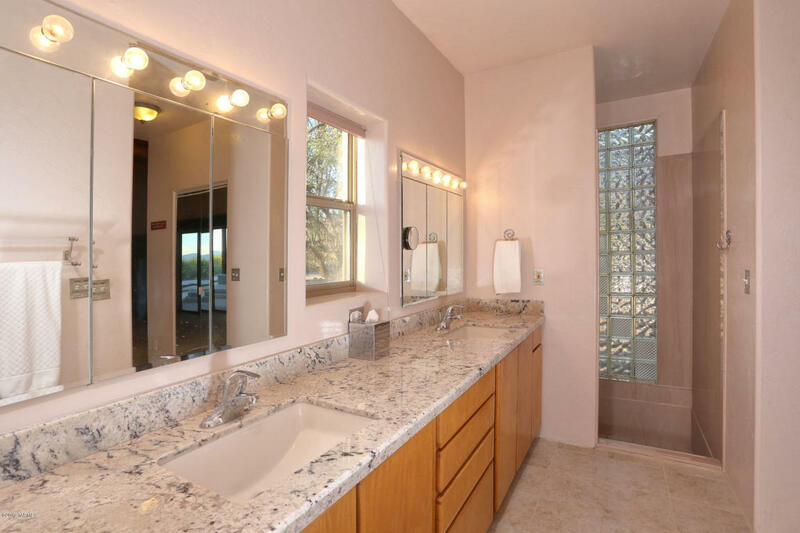 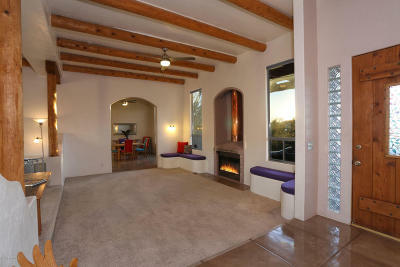 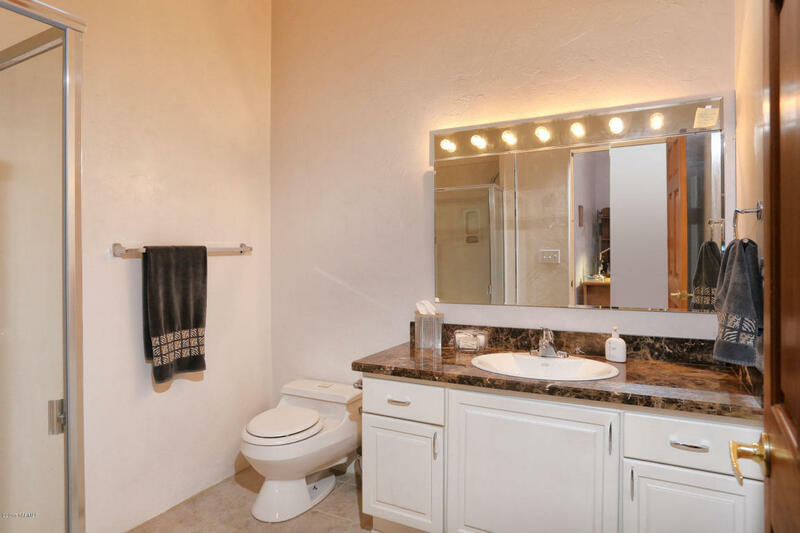 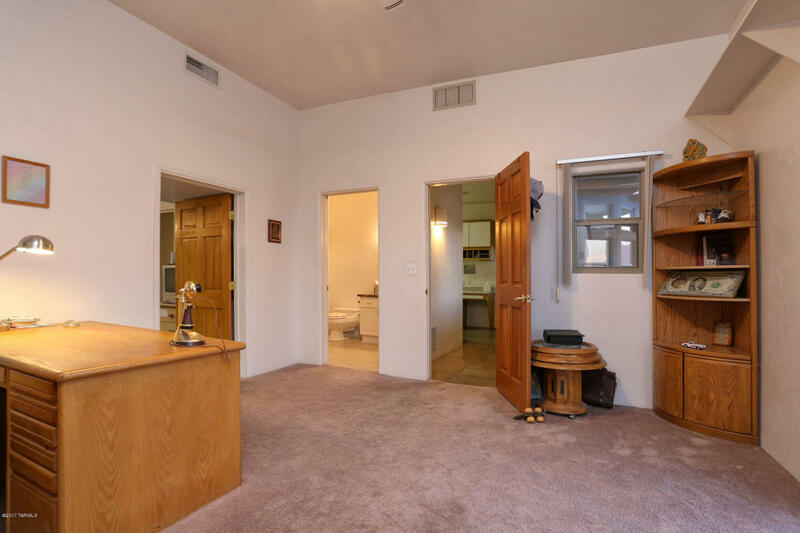 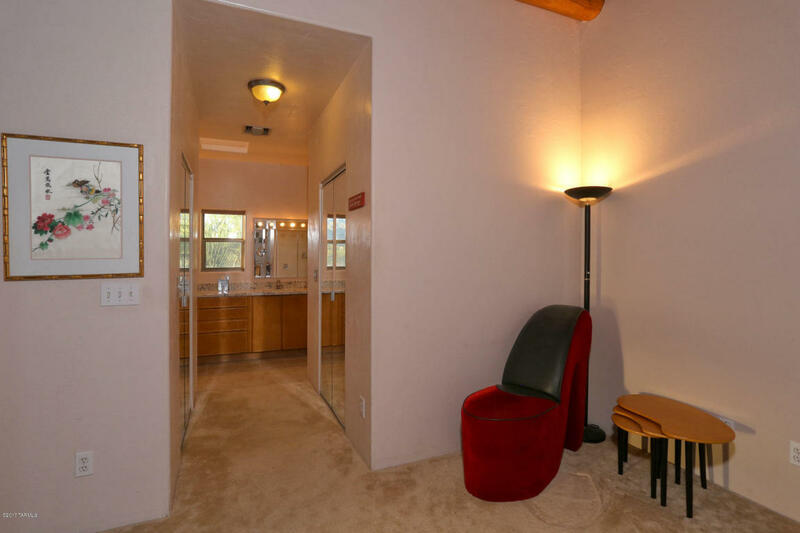 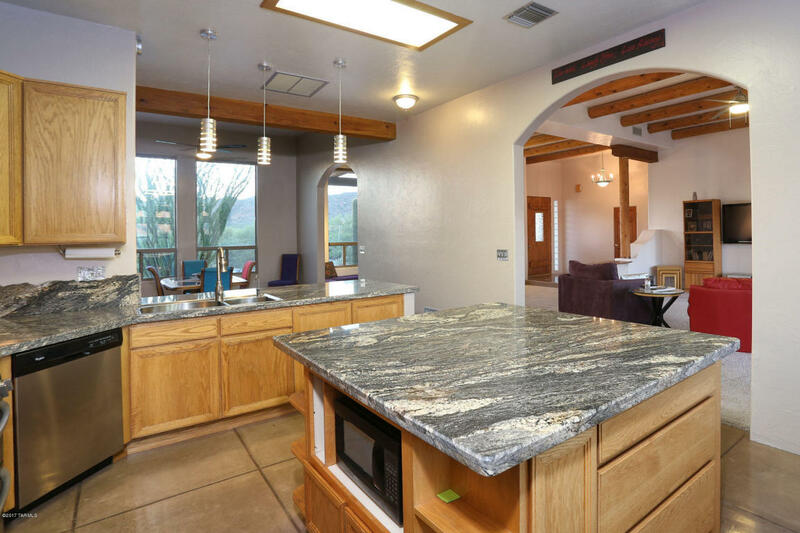 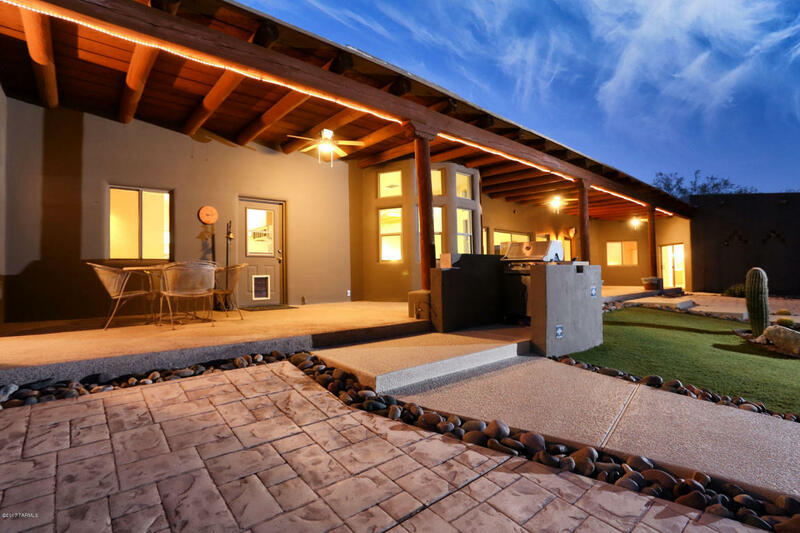 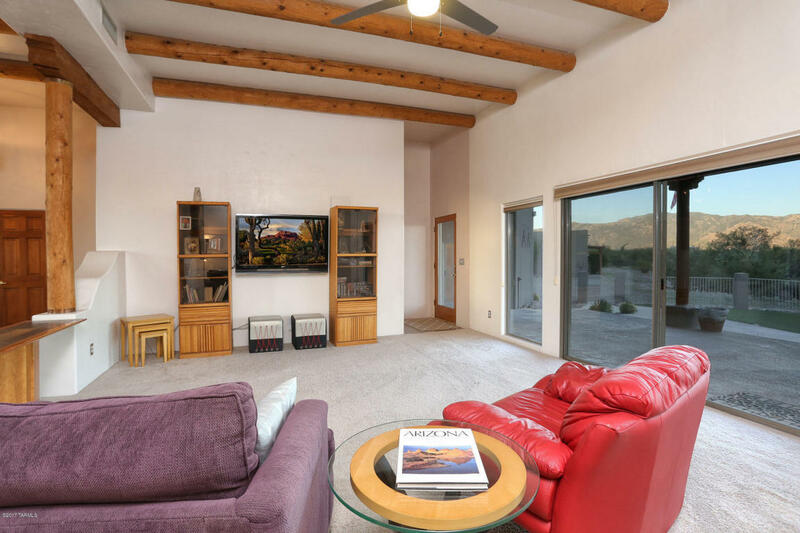 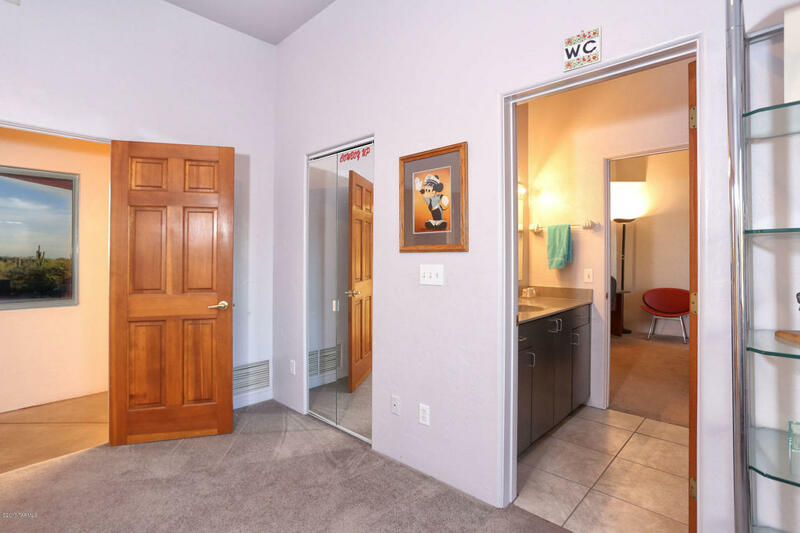 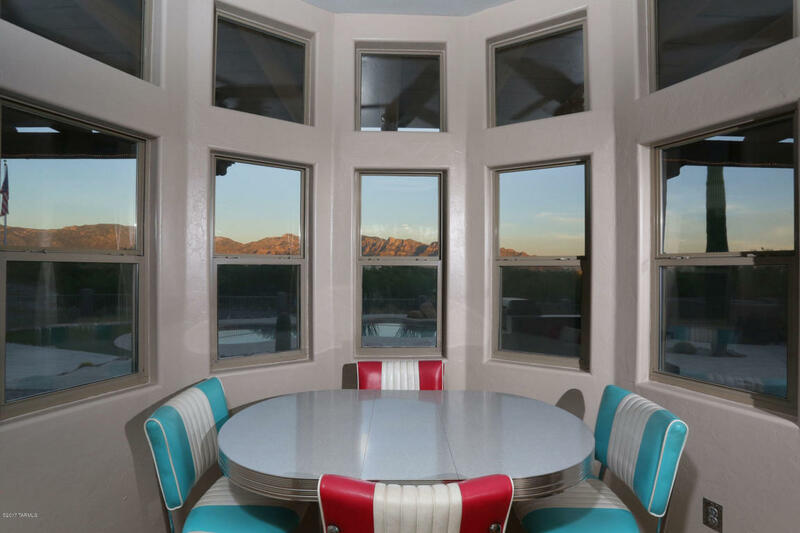 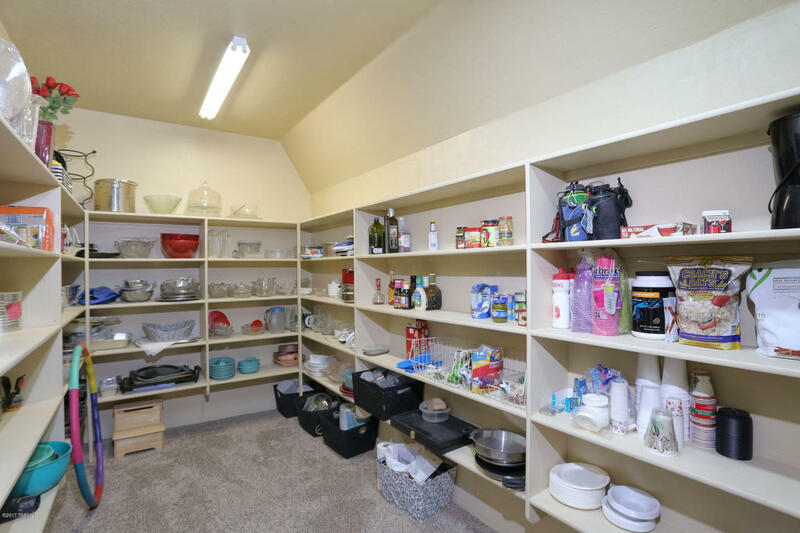 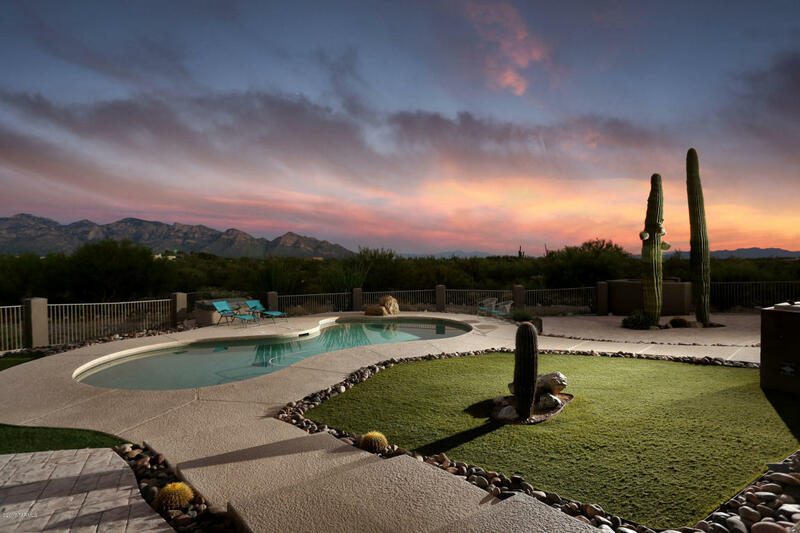 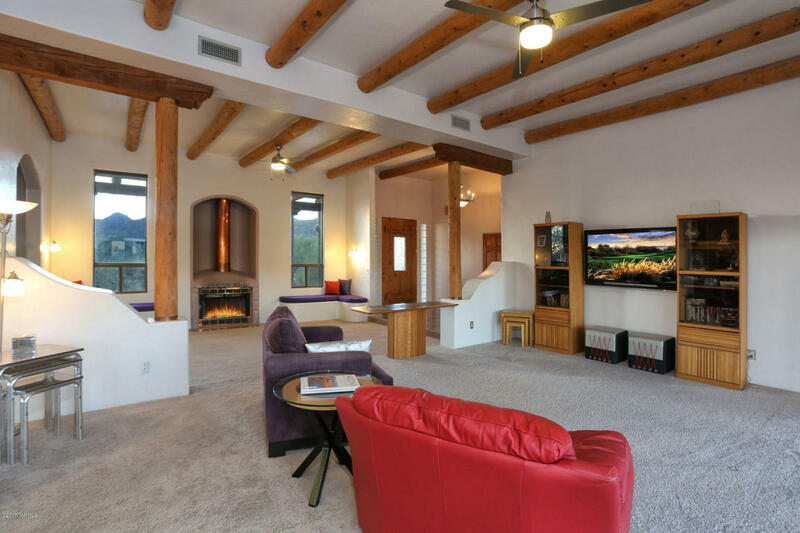 There's plenty of room to spread out and be comfortable, with a large beamed ceiling living room with wood burning fireplace, looking east over the pool to the entire vista of the Catalina Mountains. 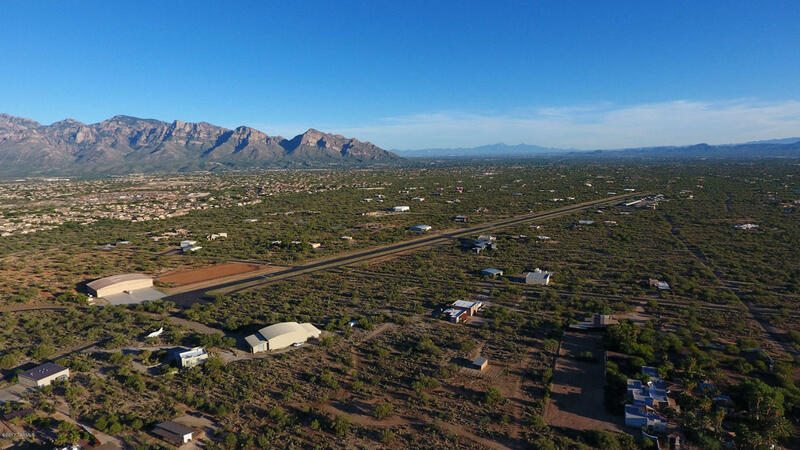 Glance west and there's the Tortolita Mountains. Enjoy spectacular and totally quiet sunrises and sunsets reflected in the free-form pool.